Pretty self-explanatory, how I came up with this idea, hey? It’s a good thing that when it grey, drab, wet and crappy out, one can still find such beautiful things online (and inside)! 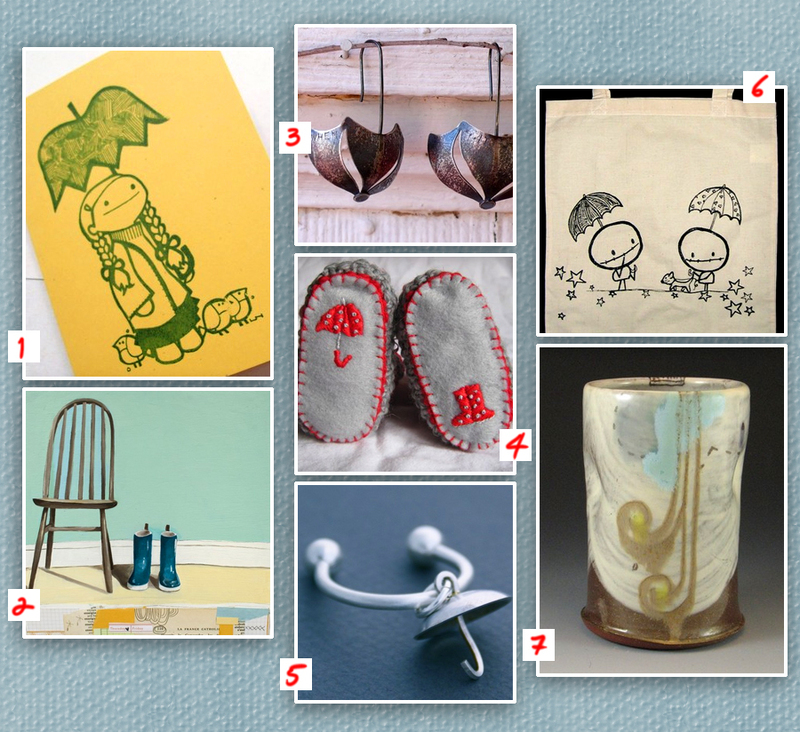 Enjoy these talented artists, stay dry, and feel free to share other links to rainy day artwork! This is my “Enough about me, more about you!” post. It blows me away that for each of the last few months, I’ve gotten more visitors than I did for the whole of 2008. So my question is: who are you?? It must get a little tiresome with the yap yap yap — all me, all the time. So I wonder if you might be willing to take a turn at the mic… pretty please? Can you suggest any etsians and/or artists I should feature? Got any music to recommend? Anything here you’d like to see less/more of? Wanna share an inspiring link? What are you most proud of at this very second? Who would you thank first if you won an Oscar? 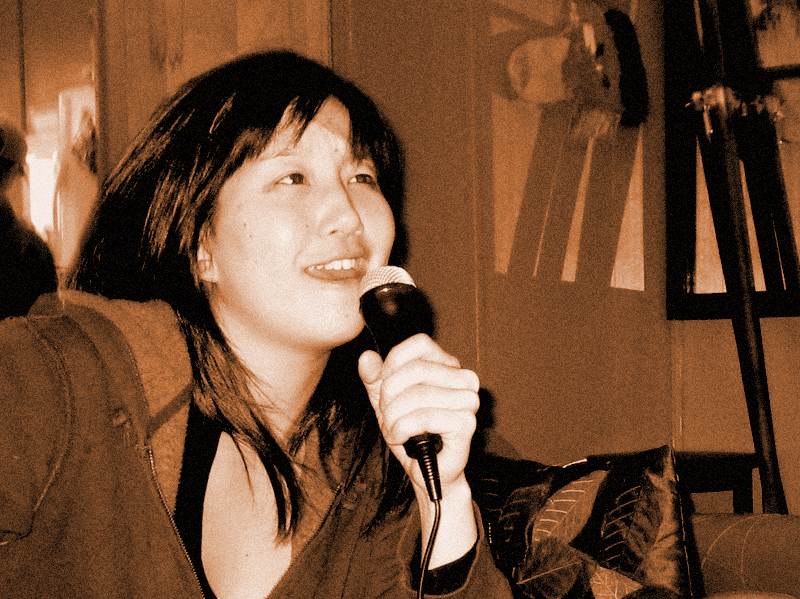 What’s your fallback karaoke tune? Who makes you laugh the loudest? …or whatever else comes to mind! Have at it and have some fun — it’s your turn! I’d love to send a little care package to whoever makes me crack the biggest grin. Please leave a valid email address if you’re interested in playing along. Thanks so much! Months ago, a couple of my friends suggested getting tickets to see Leonard Cohen on tour. I agreed, partly because I have FOMO, and partly because I figured he’s a legend whom I may not have the opportunity to see again. Last Friday, we drove two hours to see him in Kingston — tickets there were way less expensive (and also less sold out!) than Ottawa; as you can see from my pic, we had pretty decent seats, plus the jumbo screens were crystal clear. I don’t own one Leonard Cohen cd. Even now, I’d be hard-pressed to remember more than 5 titles of songs he sings. In actuality, I find that a lot of his songs sound a bit similar. His over-the-top sax player drove me batty — cheeseball moves, the only guy on stage who did a costume change. During ‘Suzanne’, something about Leonard’s chord changes sounded funny in my ear. And yet… I was absolutely won over that night. Two words: CLASS ACT. The spry 74-year-old (!!!) had us chuckling with his banter and his skipping on- and off-stage, was incredibly generous to his bandmates, didn’t miss a beat, and gave us three (!!!) encores. Lots of solos by his über-talented fellow musicians — during which Leonard would take off his hat to hold it to his chest, and face them. His ‘back-up’ singers were mindblowing — Sharon Robinson (who co-wrote Everybody Knows, among other tunes) and the Webb sisters. It’s obvious Leonard Cohen still loves being onstage, feels lucky to be there, and appreciates his fans and associates. He’s the only musician I’ve ever seen who thanks the lighting guy, the techs, the person who takes care of the band’s hats… And is it me, or does he not look a lot like Dustin Hoffman? 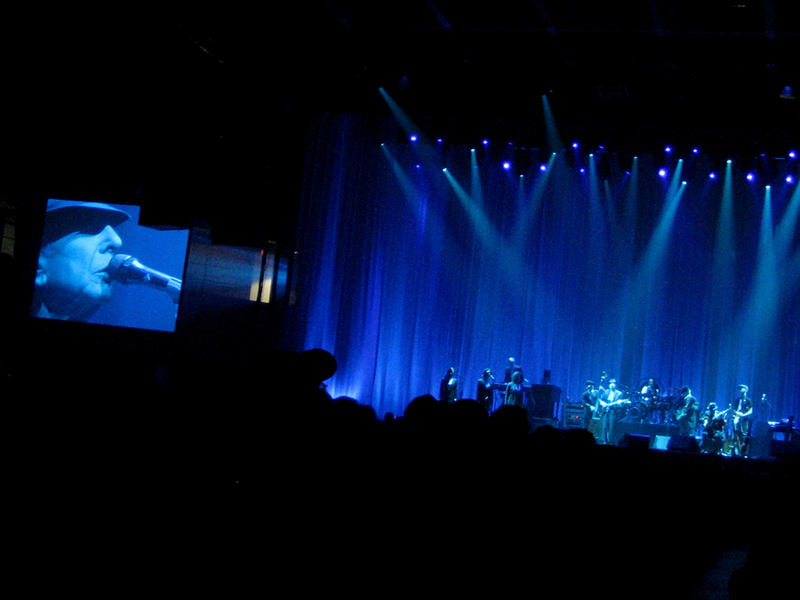 Ok, so he’s not really a bully per se, but Leonard Cohen did make me cry four times during that evening. This one’s locked into the memory bank, for sure.